We are pleased to announce our new Practitioner Course for Professionals. 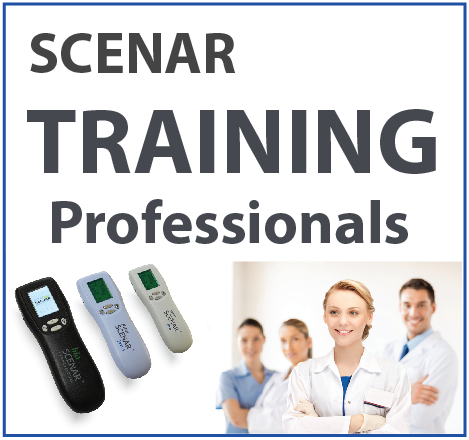 This is a one day SCENAR Professional training for health care practitioners who would like to implement SCENAR technology in their practices. The training is suitable for the following health care professionals – massage practitioners, chiropractors, physiotherapists, nurses, podiatrists, ophthalmologists, naturopaths, medical doctors and other heath therapists. The Practitioner course covers SCENAR Professional device settings, SCENAR Therapy principles, basic techniques for acute and chronic pain relief and practical exercises. The online complementary component helps the Practitioner to start using the SCENAR device straight out of the box. $330 per person – includes one day live seminar and 12 months unlimited access to the online training course.